A fabulous new blog train is about to leave. 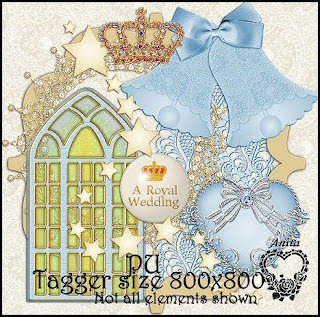 To celebrate the Marriage of Prince William and Catherine Middleton on April 29th 2011. For my part there are 45 elements 10 frames and 9 papers. Tagger size 800x800 pixels and all png format. Please download and enjoy! Then go snag all the other amazing goodies on this train. This is a beautiful kit. It will go well for any church ceremony. Thank you. love n hugs. Very pretty, Thank you so much! !